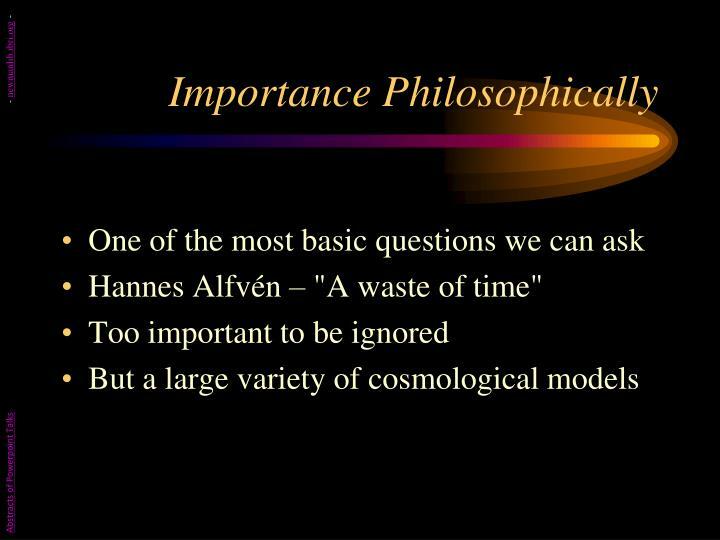 Hannes Alfvén – "A waste of time"
Its Creator is a person. 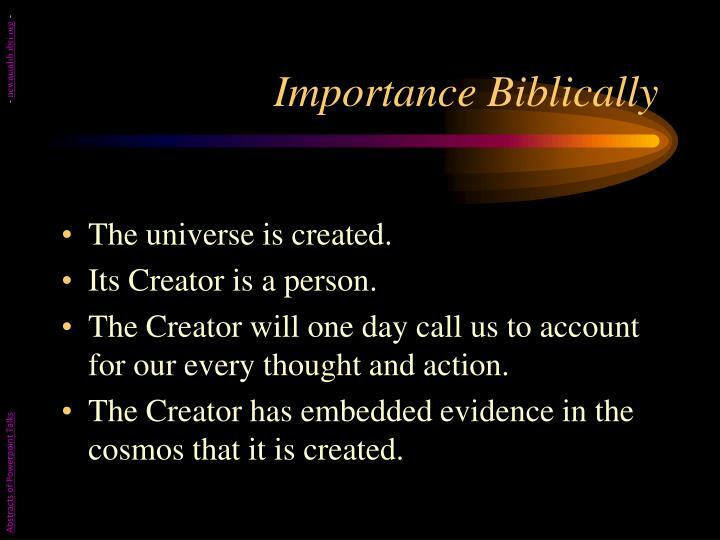 The Creator will one day call us to account for our every thought and action. 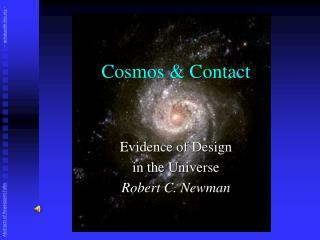 The Creator has embedded evidence in the cosmos that it is created. 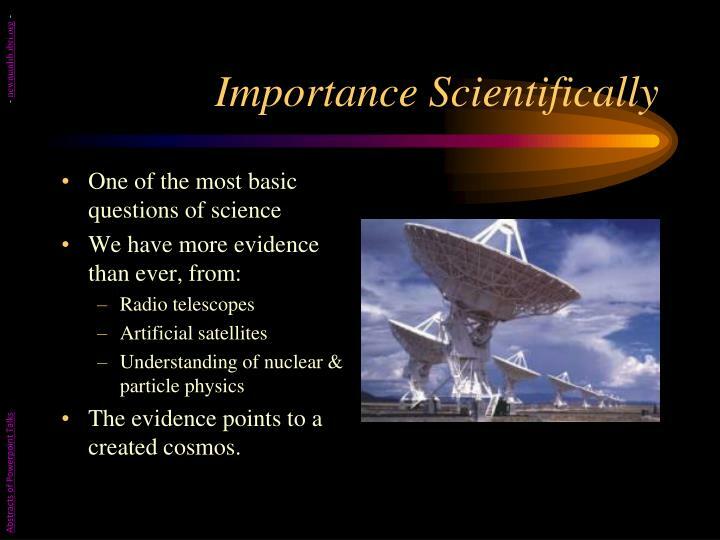 The evidence points to a created cosmos. 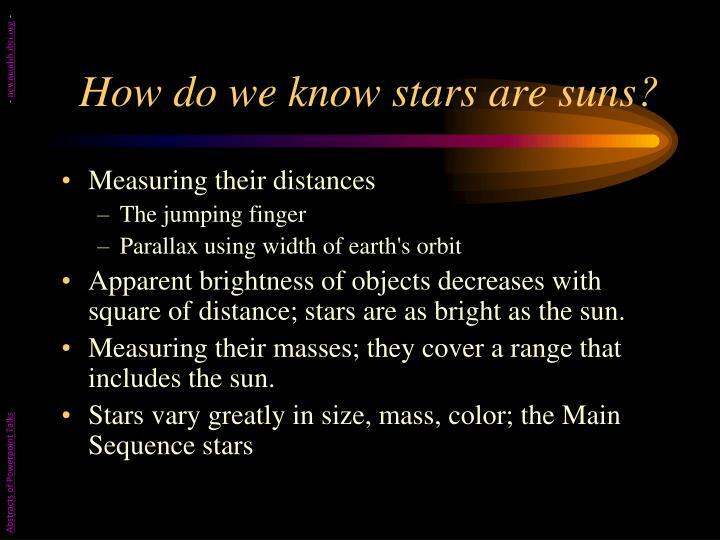 How do we know stars are suns? 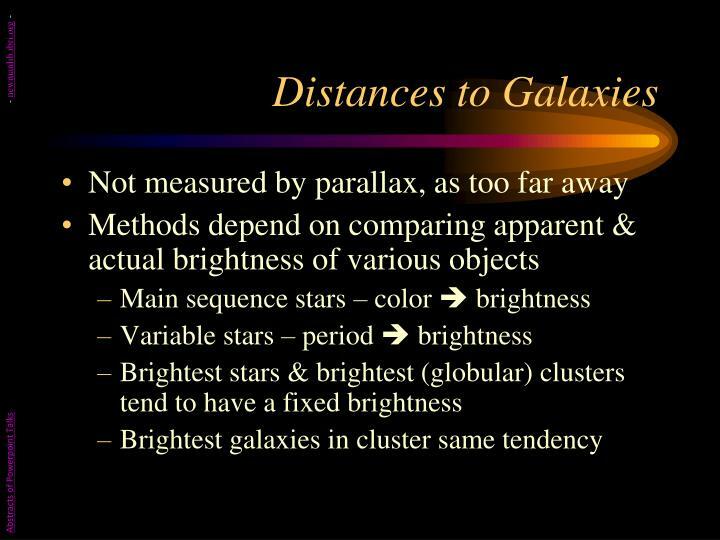 Apparent brightness of objects decreases with square of distance; stars are as bright as the sun. Measuring their masses; they cover a range that includes the sun. 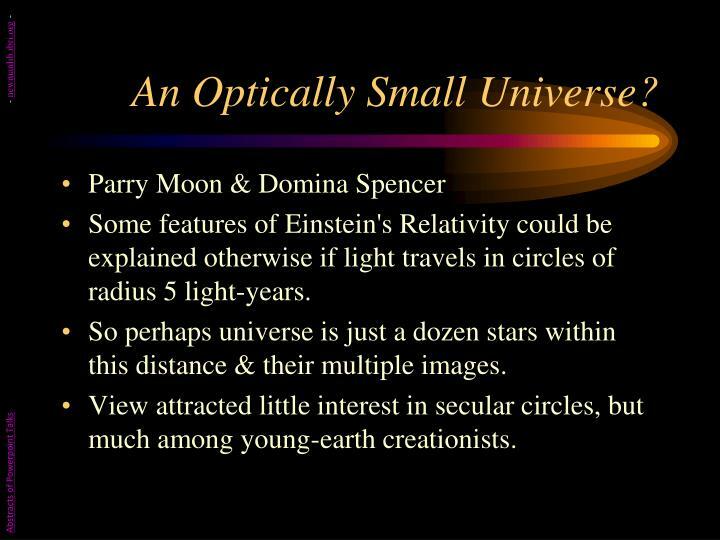 The whole universe is only a few light-years across. 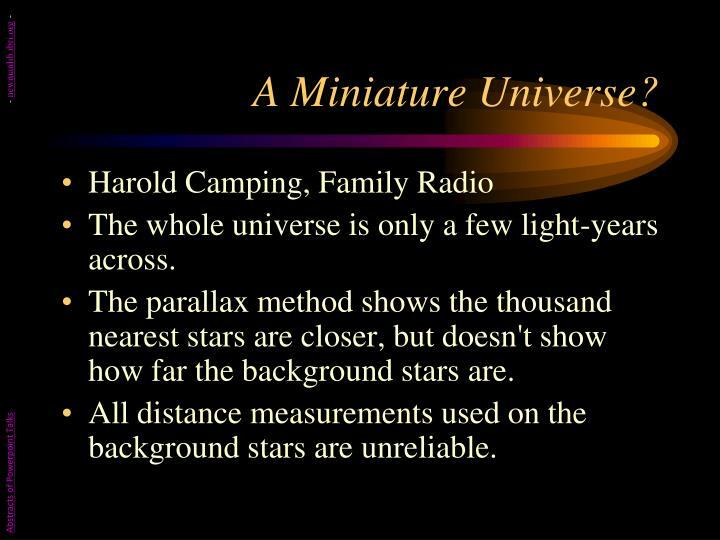 The parallax method shows the thousand nearest stars are closer, but doesn't show how far the background stars are. All distance measurements used on the background stars are unreliable. 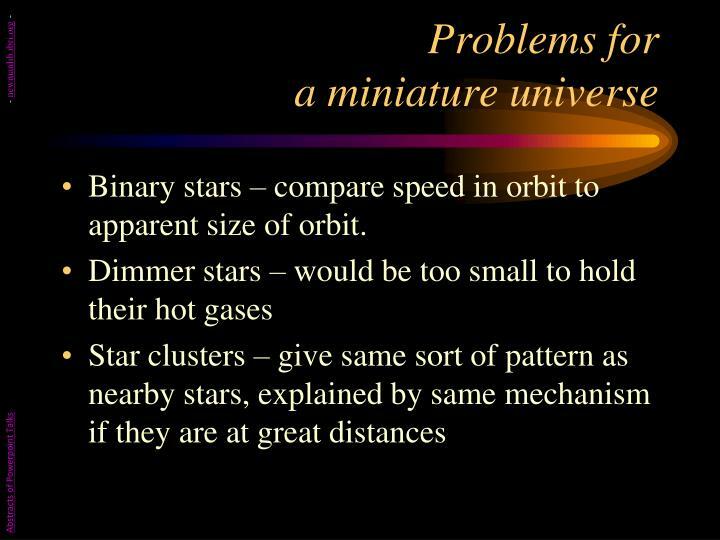 Binary stars – compare speed in orbit to apparent size of orbit. 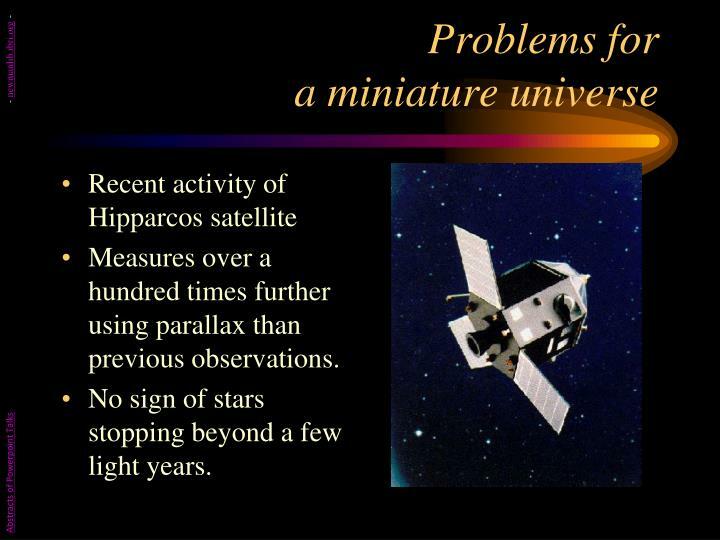 Measures over a hundred times further using parallax than previous observations. No sign of stars stopping beyond a few light years. These appear to be at distances of millions to billions of light-years. 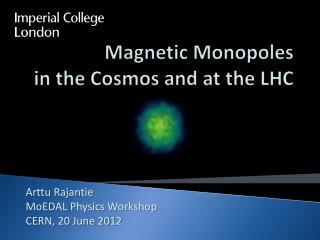 Some features of Einstein's Relativity could be explained otherwise if light travels in circles of radius 5 light-years. So perhaps universe is just a dozen stars within this distance & their multiple images. 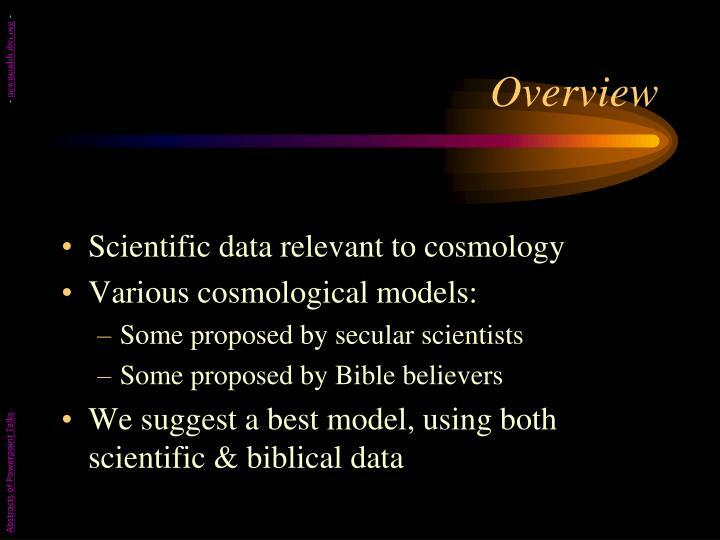 View attracted little interest in secular circles, but much among young-earth creationists. 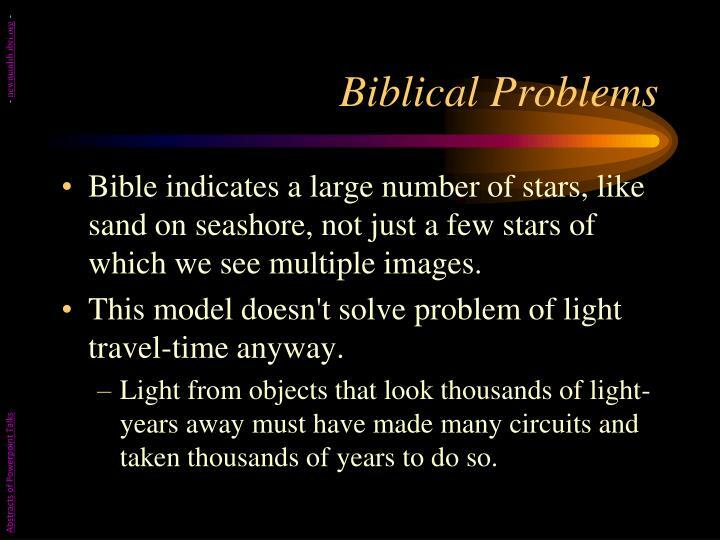 Bible indicates a large number of stars, like sand on seashore, not just a few stars of which we see multiple images. This model doesn't solve problem of light travel-time anyway. 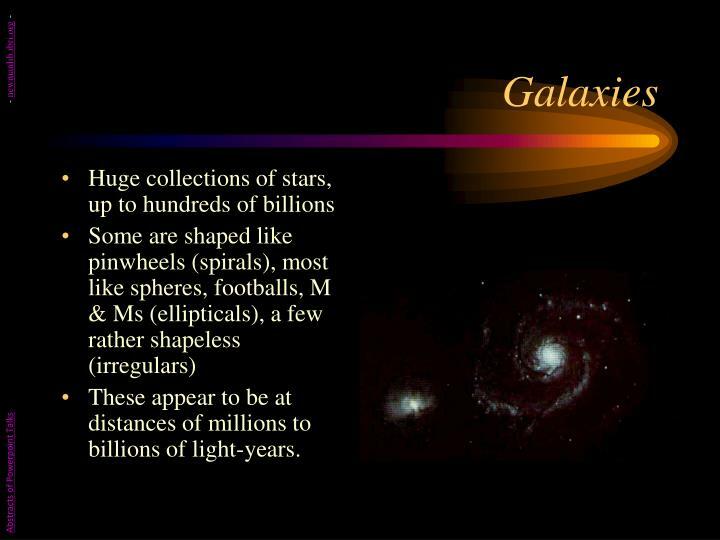 Light from objects that look thousands of light-years away must have made many circuits and taken thousands of years to do so. 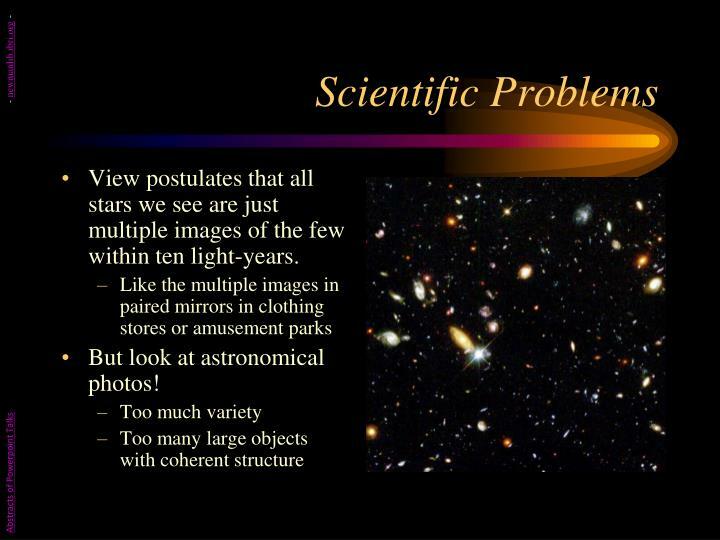 View postulates that all stars we see are just multiple images of the few within ten light-years. 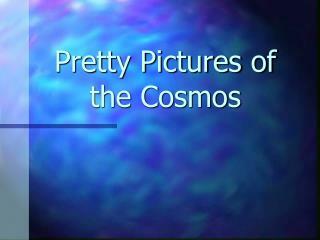 But look at astronomical photos! 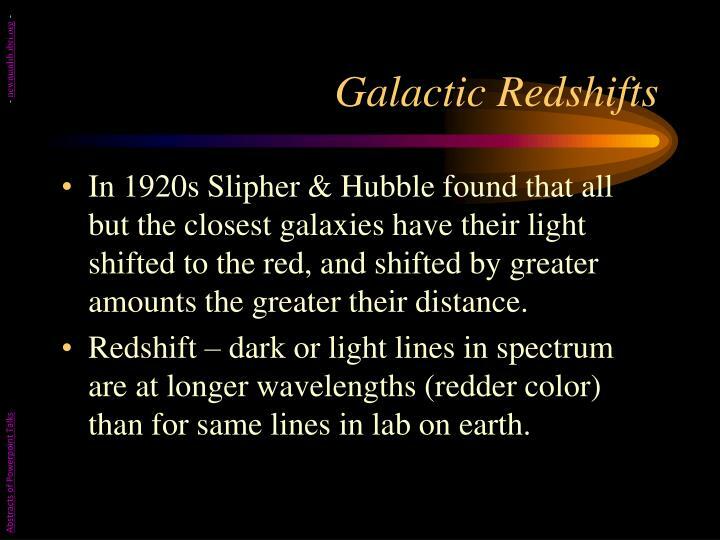 In 1920s Slipher & Hubble found that all but the closest galaxies have their light shifted to the red, and shifted by greater amounts the greater their distance. Redshift – dark or light lines in spectrum are at longer wavelengths (redder color) than for same lines in lab on earth. Gravity redshift – light coming out of a gravity field is redshifted; stronger field gives more redshift. Motion redshift – used in police radar to catch speeders; motion away is redshifted, motion toward is blueshifted; amount indicates speed. 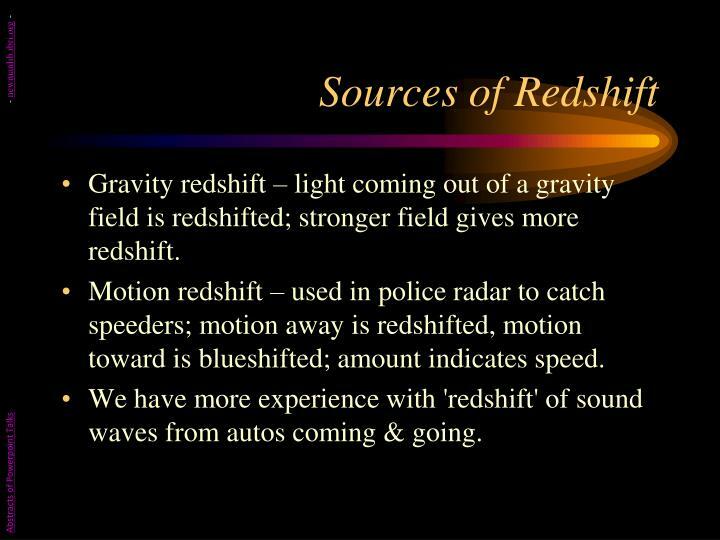 We have more experience with 'redshift' of sound waves from autos coming & going. Gravity redshift requires enormous gravity field with no explanation for such. 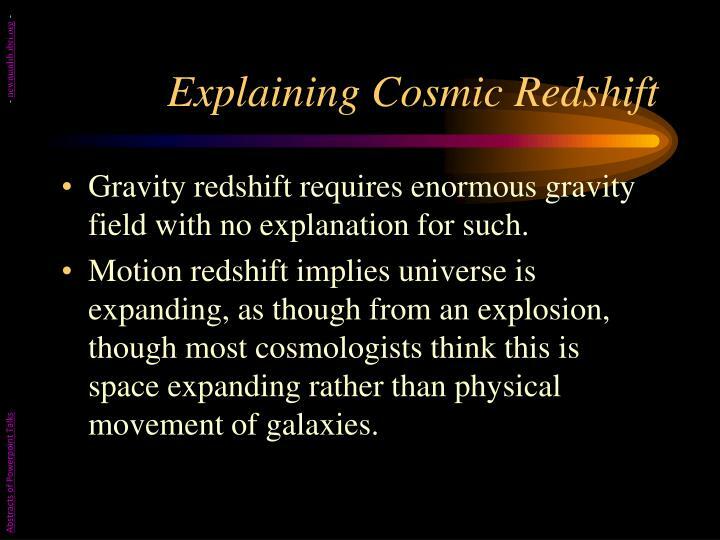 Motion redshift implies universe is expanding, as though from an explosion, though most cosmologists think this is space expanding rather than physical movement of galaxies. Jean-Pierre Vigier, et al, give this alternative to motion redshift. 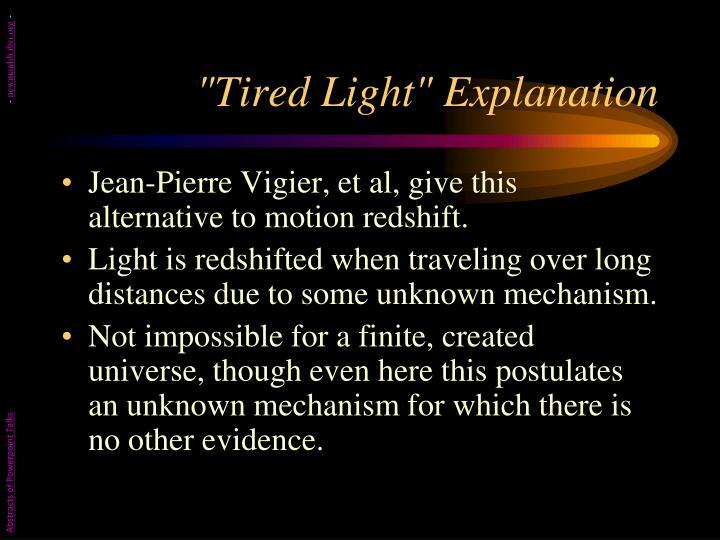 Light is redshifted when traveling over long distances due to some unknown mechanism. 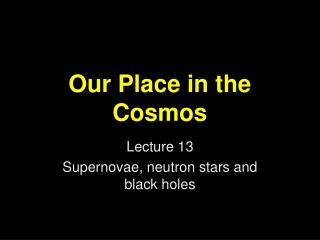 Not impossible for a finite, created universe, though even here this postulates an unknown mechanism for which there is no other evidence. 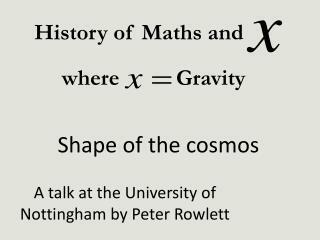 Gravity is attractive, so how can a universe remain static rather than collapsing? 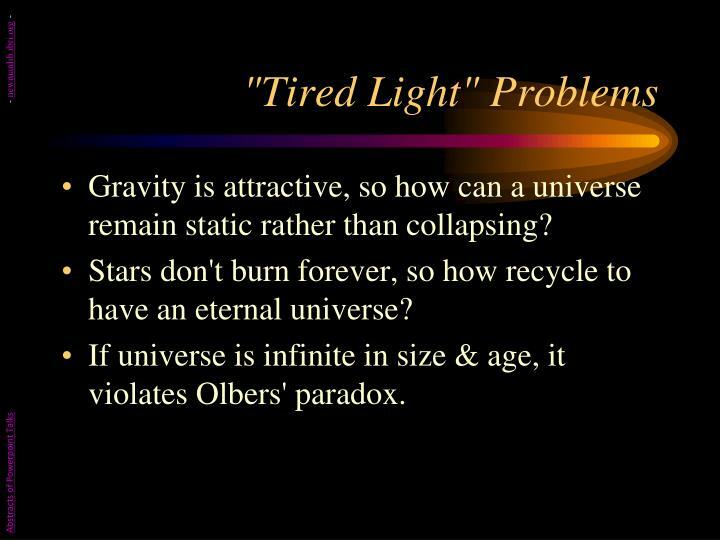 Stars don't burn forever, so how recycle to have an eternal universe? 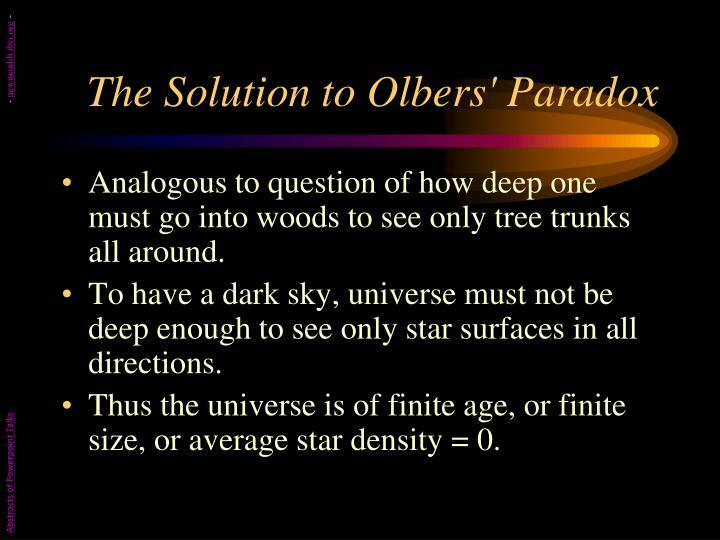 If universe is infinite in size & age, it violates Olbers' paradox. The sky is relatively dark at night, but in an infinite, eternal universe it should be at least as bright as the sun’s surface! If stars reasonably uniform in distribution, then number of stars per shell increases with square of distance. 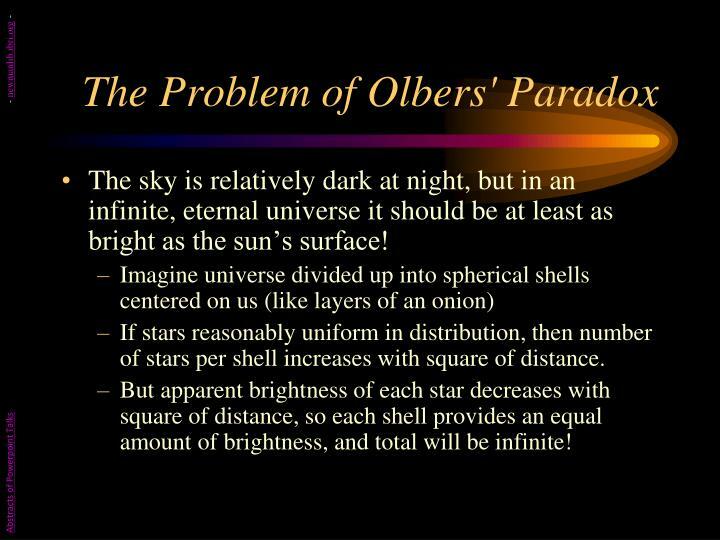 But apparent brightness of each star decreases with square of distance, so each shell provides an equal amount of brightness, and total will be infinite! Analogous to question of how deep one must go into woods to see only tree trunks all around. 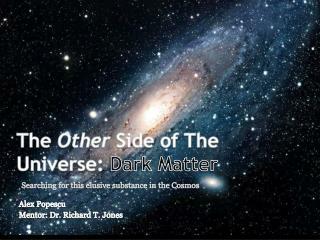 To have a dark sky, universe must not be deep enough to see only star surfaces in all directions. 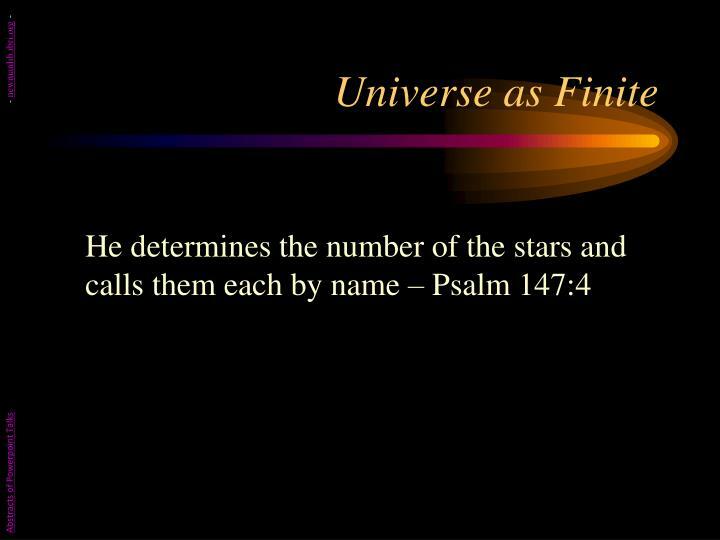 Thus the universe is of finite age, or finite size, or average star density = 0. 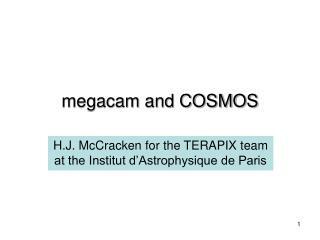 Since most objects visible in large telescopes are more than 10,000 light-years away, the light coming from them must have been created on the way. 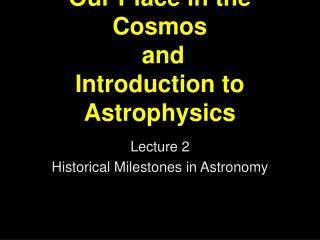 Stars & galaxies are sending us a stream of information about their history. For objects > 10,000 light-years away, this history (on this view) is fictitious, telling us what the object would have been doing had it existed. 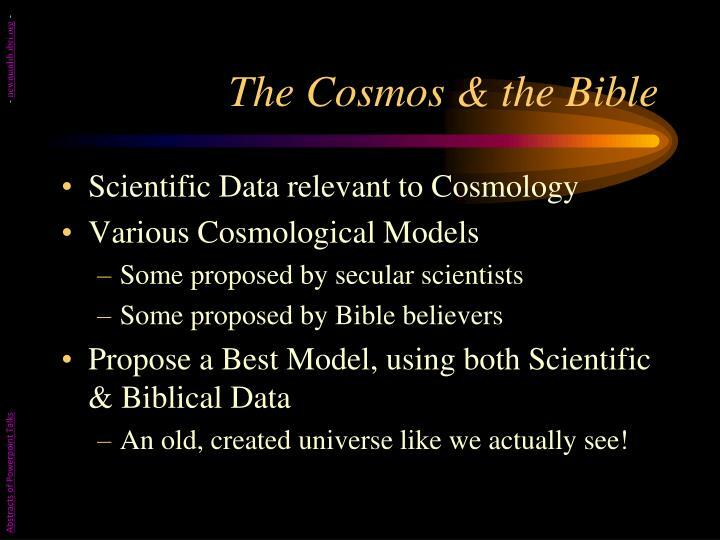 Given that God cannot lie, it seems this view has more problems than an old universe view. Barry Setterfield, to avoid this problem, suggested speed of light was infinite at creation, has recently settled down to current value. Thus Adam & Eve could see distant stars right away. No need to accuse God of giving us fictitious history. 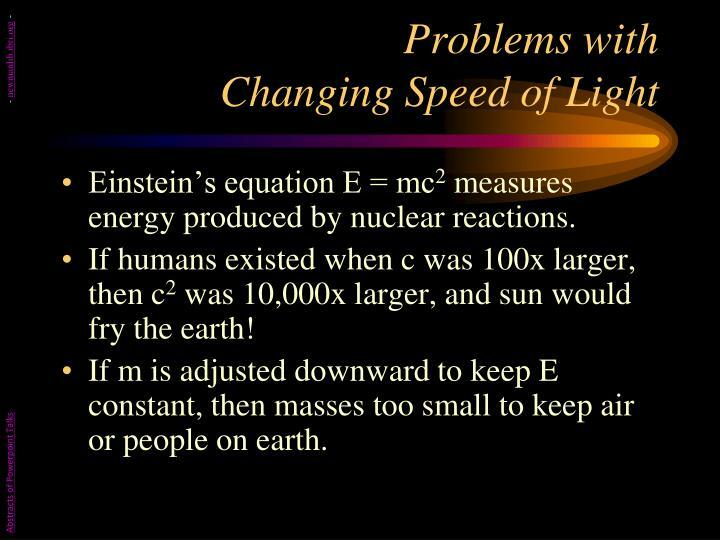 Einstein’s equation E = mc2 measures energy produced by nuclear reactions. 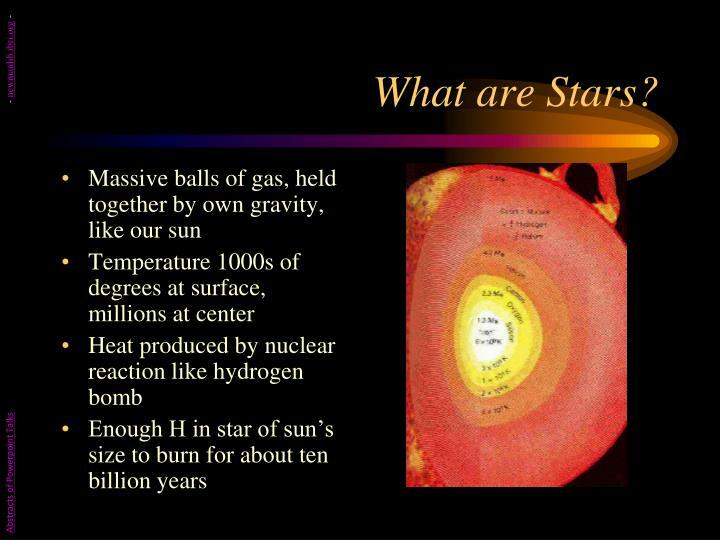 If humans existed when c was 100x larger, then c2 was 10,000x larger, and sun would fry the earth! If m is adjusted downward to keep E constant, then masses too small to keep air or people on earth. Won Nobel prize for discoverers Penzias and Wilson. 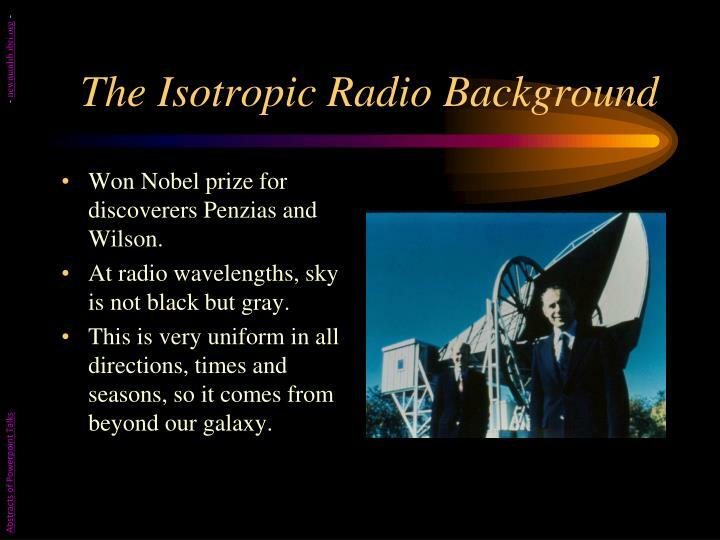 At radio wavelengths, sky is not black but gray. 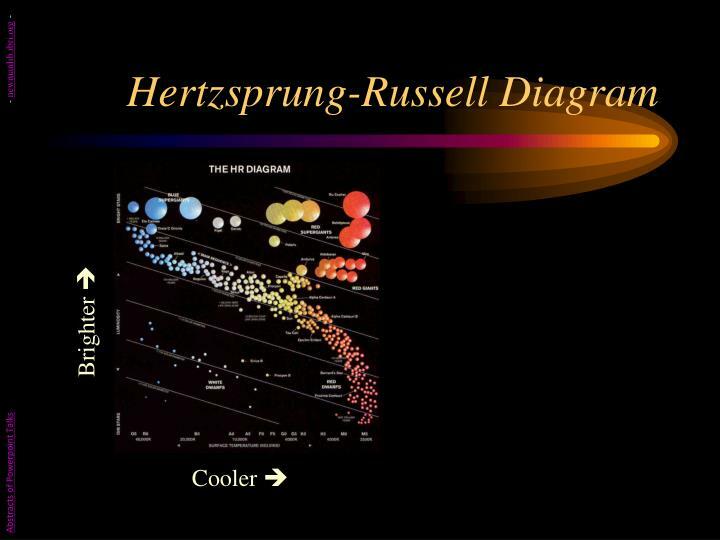 This is very uniform in all directions, times and seasons, so it comes from beyond our galaxy. 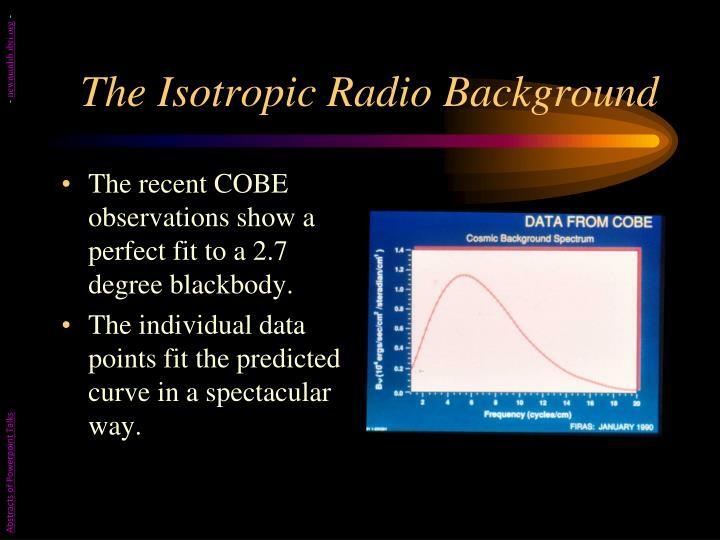 The recent COBE observations show a perfect fit to a 2.7 degree blackbody. The individual data points fit the predicted curve in a spectacular way. 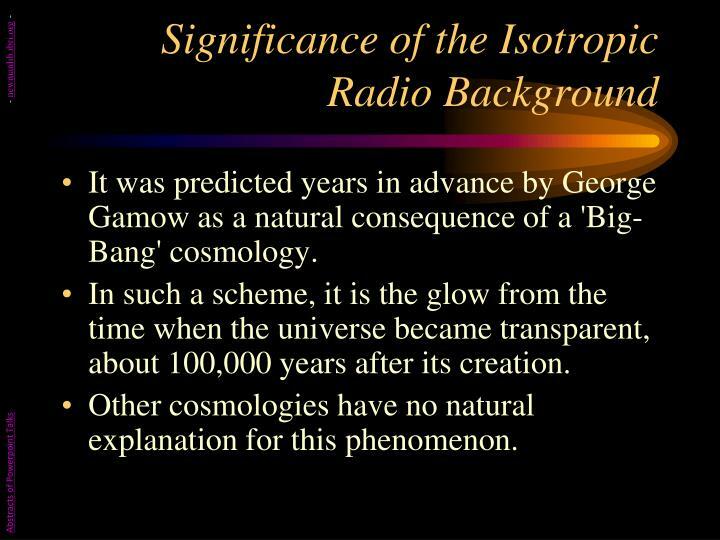 It was predicted years in advance by George Gamow as a natural consequence of a 'Big-Bang' cosmology. 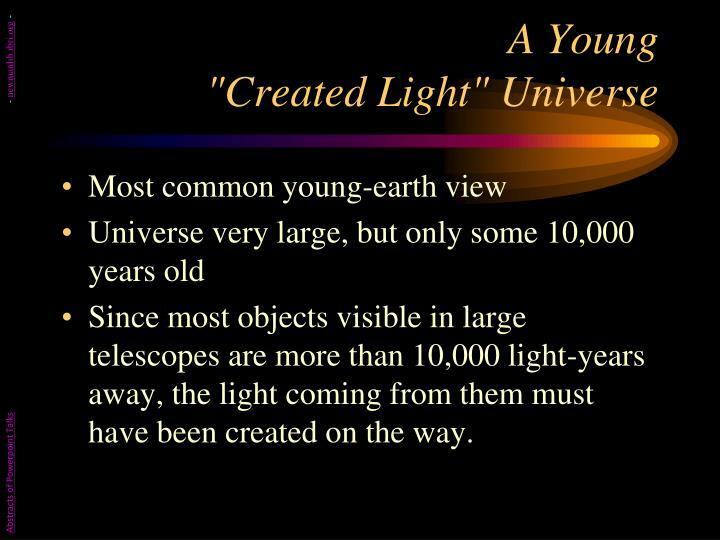 In such a scheme, it is the glow from the time when the universe became transparent, about 100,000 years after its creation. 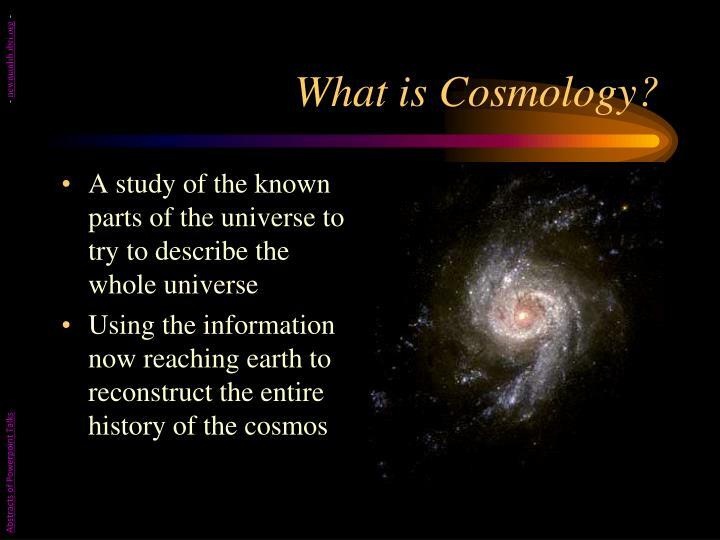 Other cosmologies have no natural explanation for this phenomenon. Have enormous redshifts, with most of them apparently billions of light-years away. 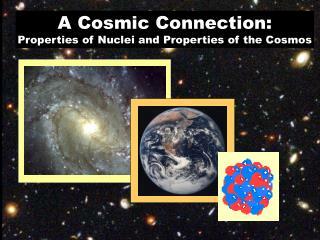 Universe is constantly expanding, but new matter pops into existence to keep density constant. Violates virtually all known conservation laws! 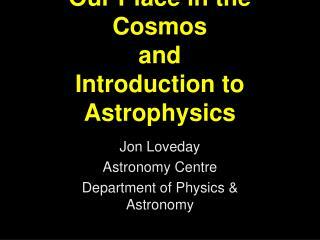 Fits observations of expanding universe and stars of finite age. 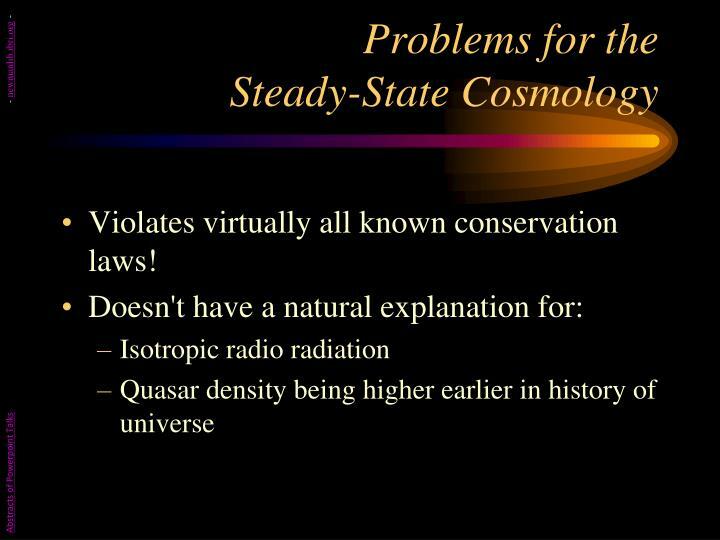 Predicts isotropic radio radiation, giving its frequency dependence exactly and its temperature approximately. 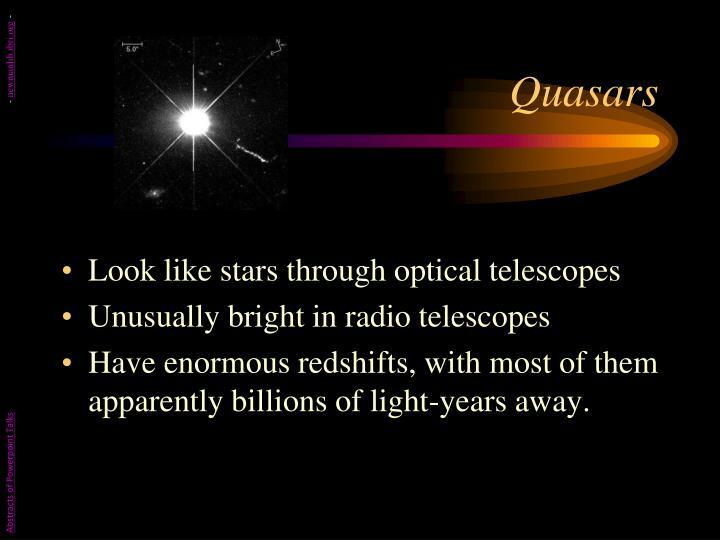 Fits observation that quasars more common early in history of universe. 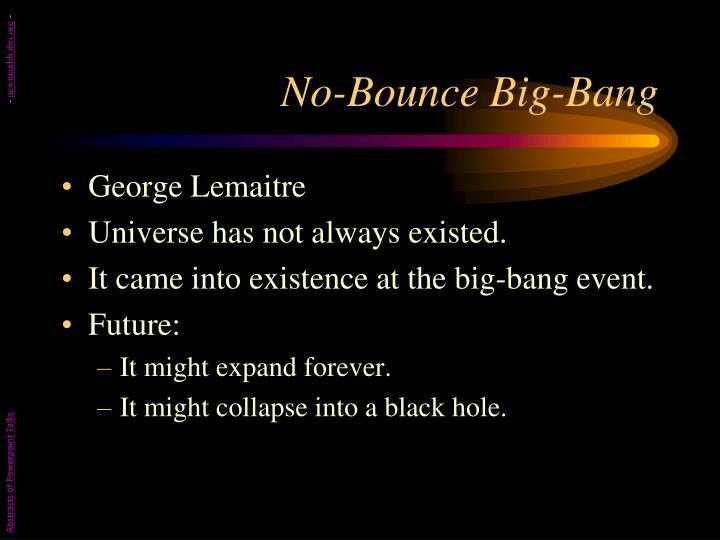 No-bounce version – universe began at the big bang. 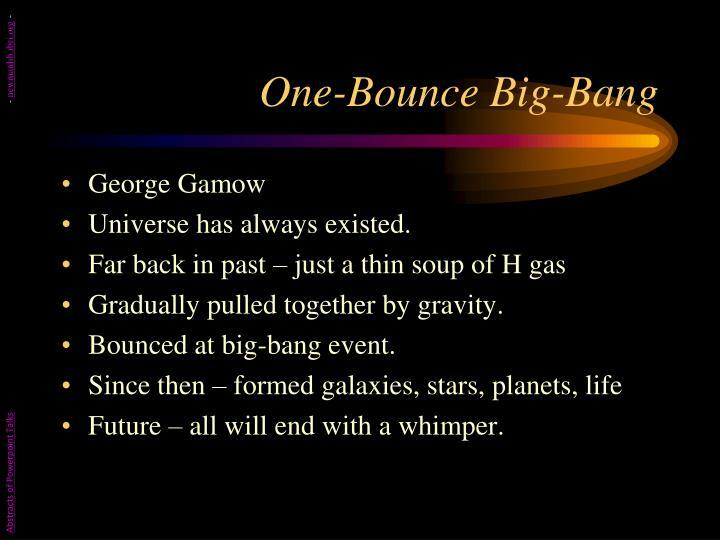 One-bounce version – eternal universe, bounced once at the big bang. 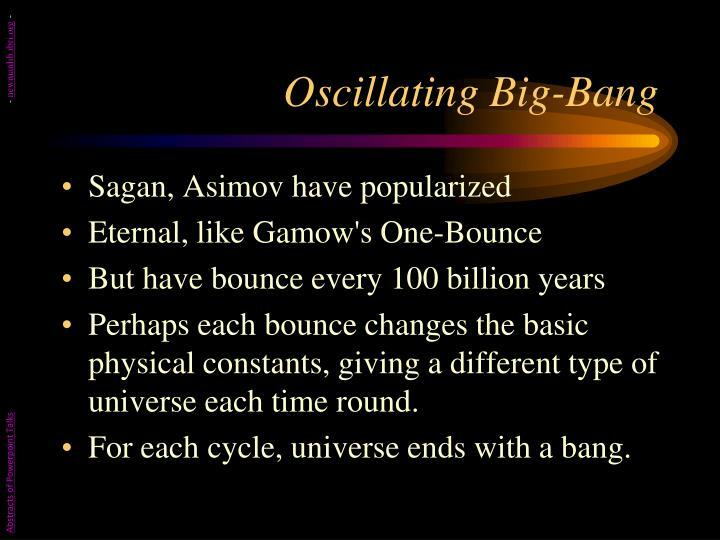 Oscillating version – eternal universe, bouncing every 100 billion years; bounced at last big-bang event. 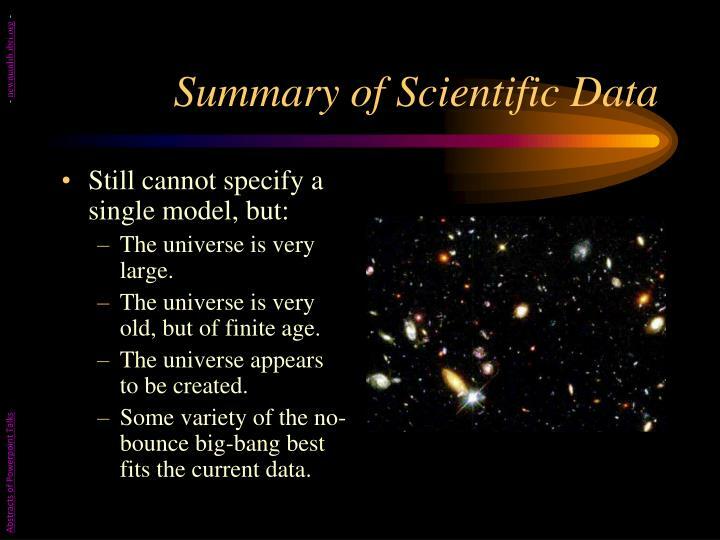 Universe has not always existed. 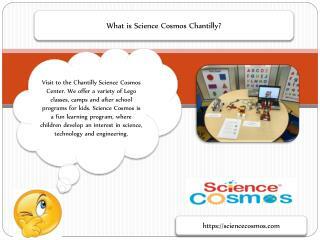 It came into existence at the big-bang event. It might collapse into a black hole. Gradually pulled together by gravity. Future – all will end with a whimper. 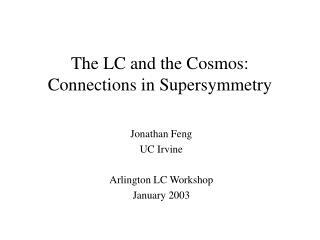 Perhaps each bounce changes the basic physical constants, giving a different type of universe each time round. For each cycle, universe ends with a bang. 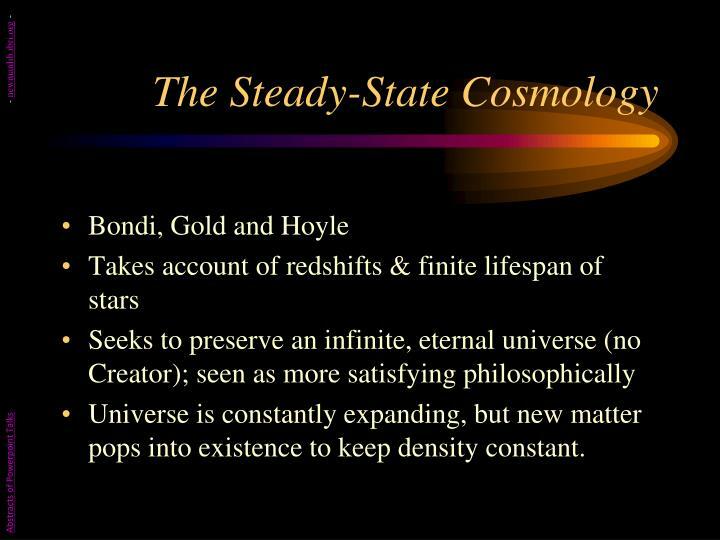 Universe doesn't appear to have enough matter to collapse; in fact, expansion appears to be speeding up. 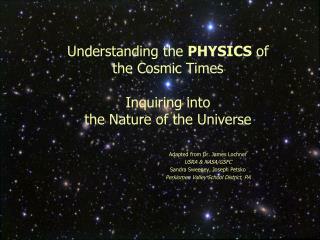 A contracting universe would collapse into a black hole instead of bouncing. 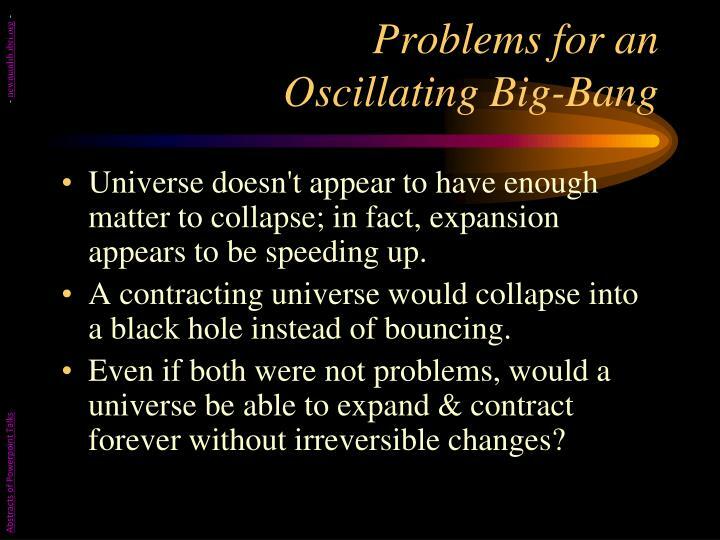 Even if both were not problems, would a universe be able to expand & contract forever without irreversible changes? 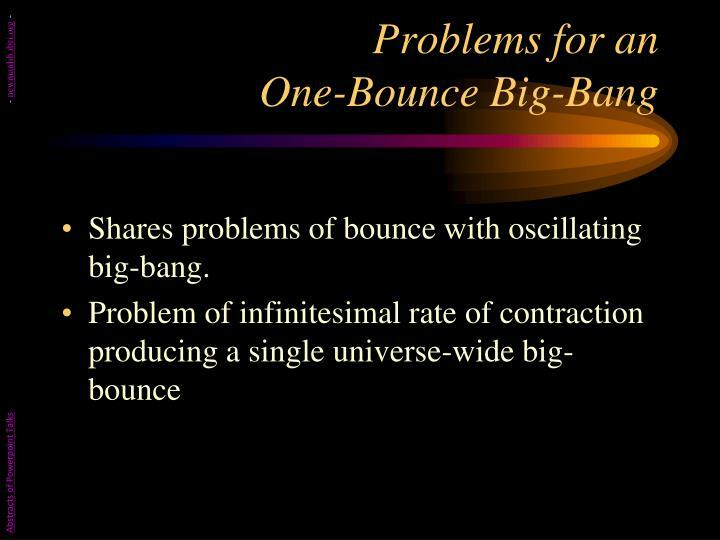 Shares problems of bounce with oscillating big-bang. 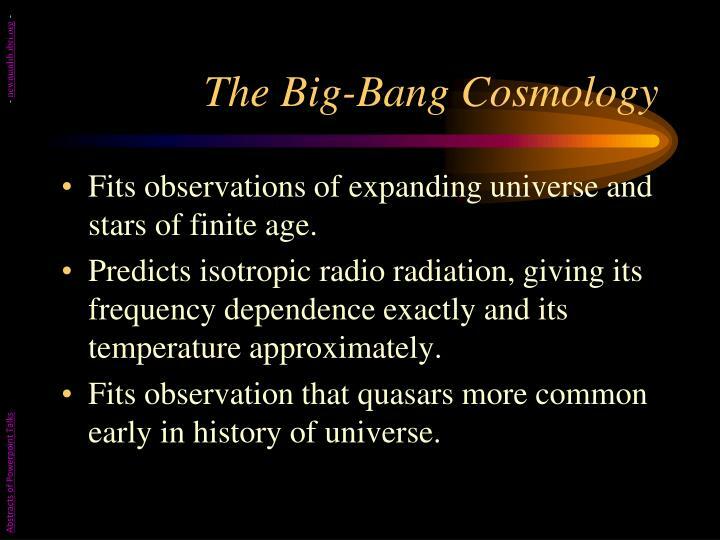 Most cosmologists are working with varieties of this today, at least to the extent that our universe is finite in size and began with the big bang. 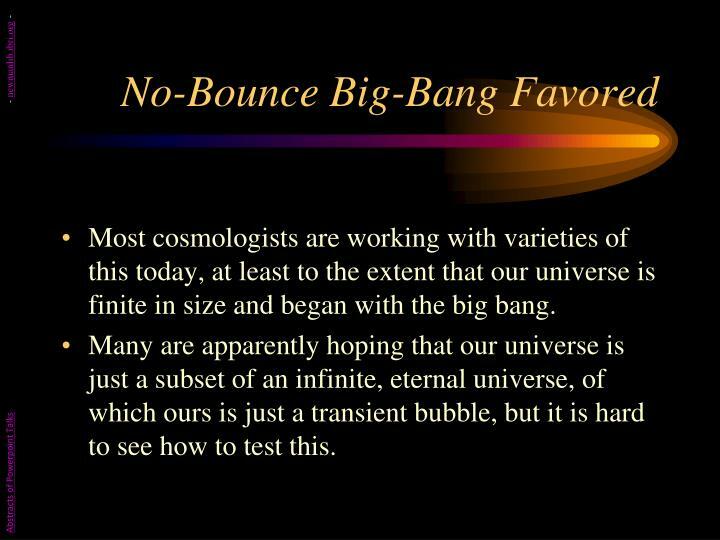 Many are apparently hoping that our universe is just a subset of an infinite, eternal universe, of which ours is just a transient bubble, but it is hard to see how to test this. 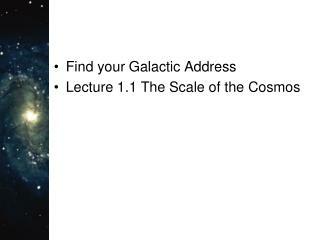 The universe is very large. 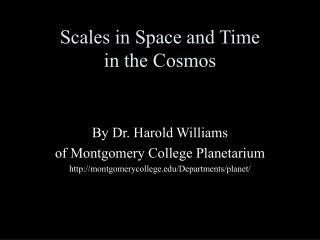 The universe is very old, but of finite age. 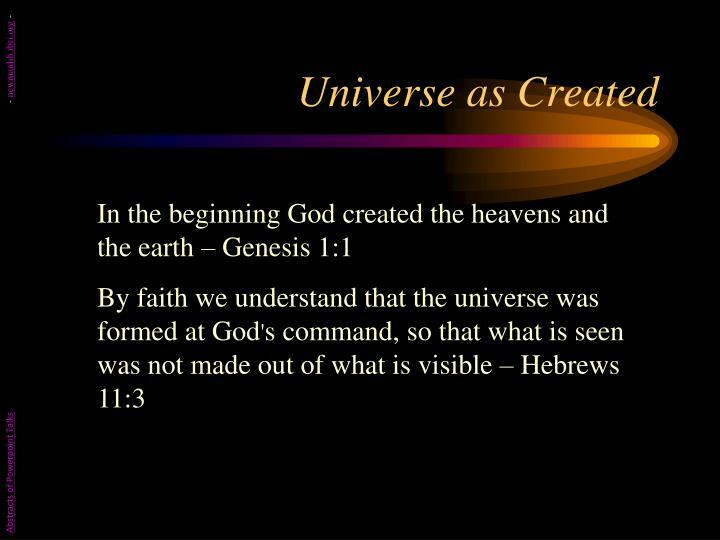 The universe appears to be created. 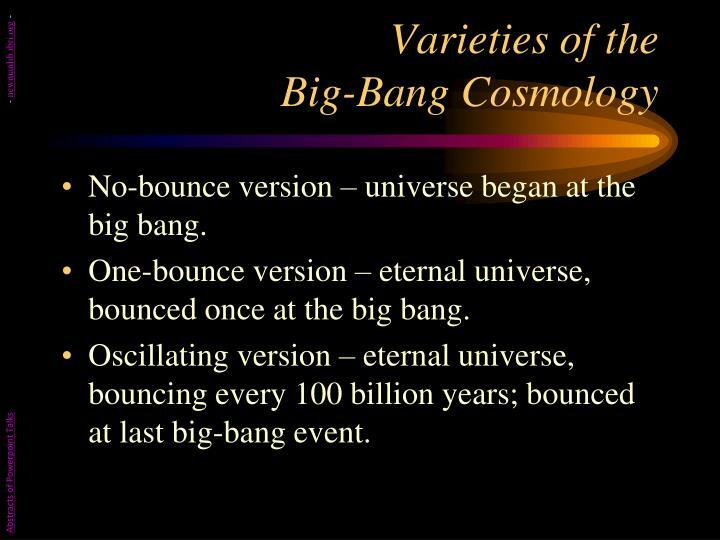 Some variety of the no-bounce big-bang best fits the current data. The Bible pictures the universe as immeasurably large but finite. 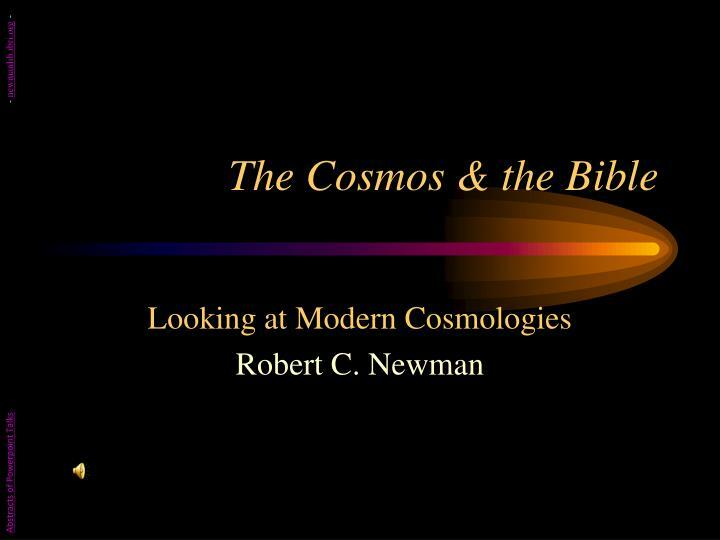 It says the cosmos was created at a finite time in the past by the infinite, personal God of the Bible, and it evidences his craft. 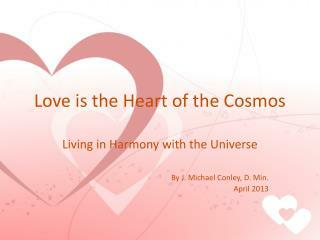 It pictures the universe as running down. 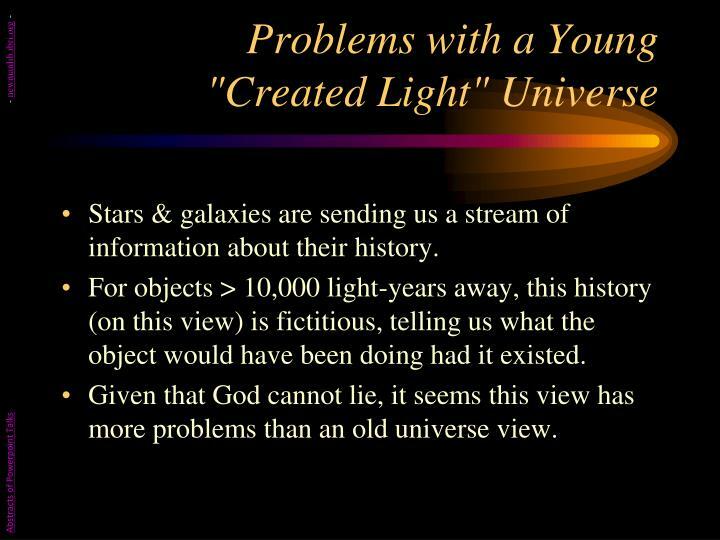 Many see the Bible as picturing a young universe. 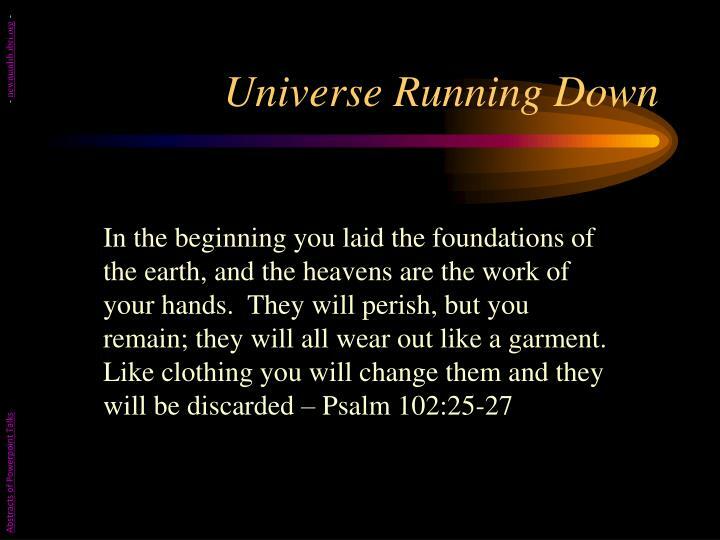 Main reason for the influence of the young-earth creation movement among Bible-believers. 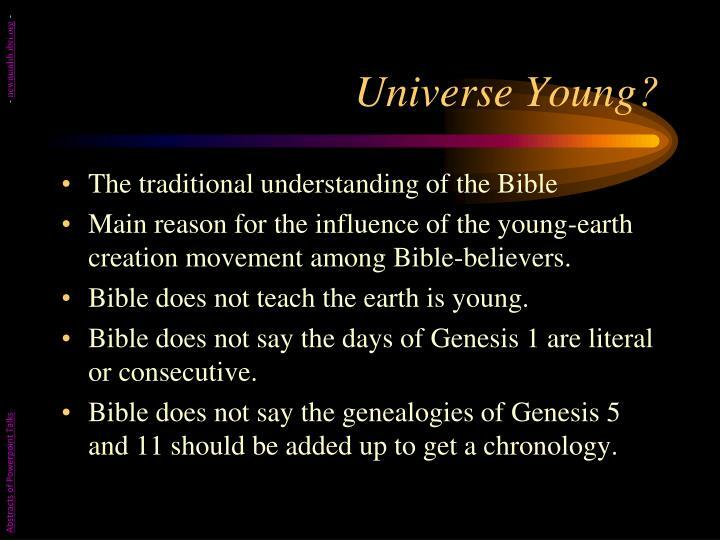 Bible does not teach the earth is young. 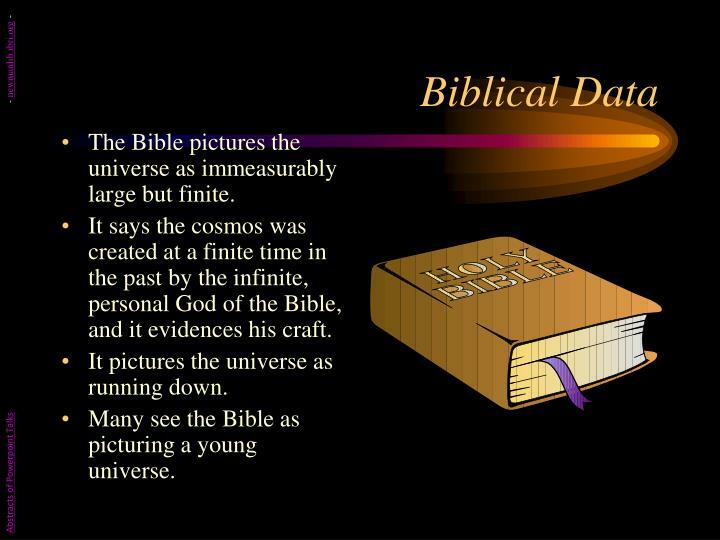 Bible does not say the days of Genesis 1 are literal or consecutive. Bible does not say the genealogies of Genesis 5 and 11 should be added up to get a chronology. 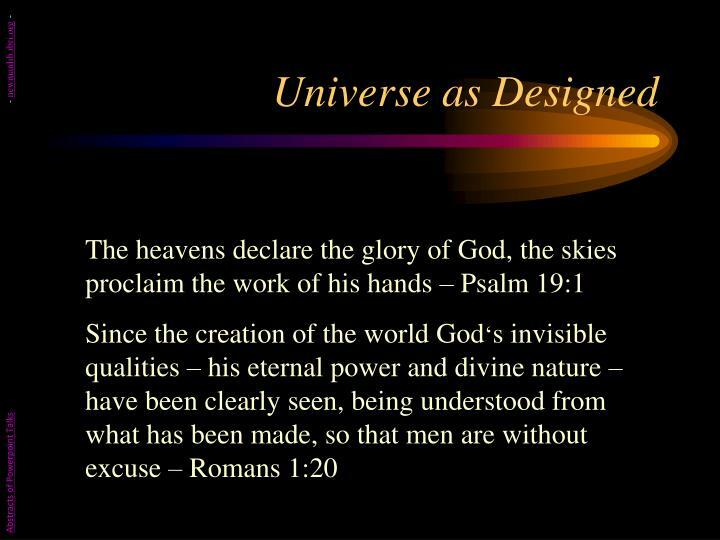 A universe billions of years old is not taught in the Bible either, but it does not disagree with a fair and reasonable interpretation of the biblical creation account. 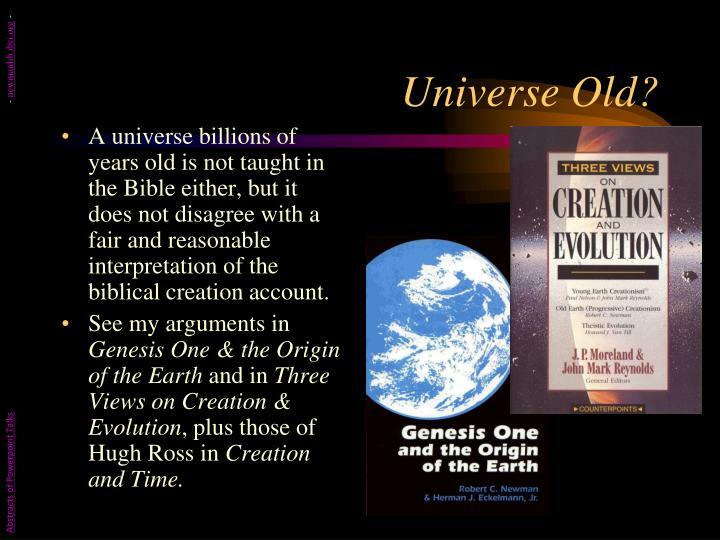 See my arguments in Genesis One & the Origin of the Earth and in Three Views on Creation & Evolution, plus those of Hugh Ross in Creation and Time. 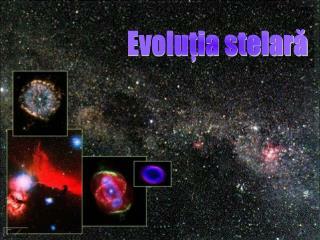 An old, created universe like we actually see! Clustering of BzK-selected galaxies in the COSMOS field -. 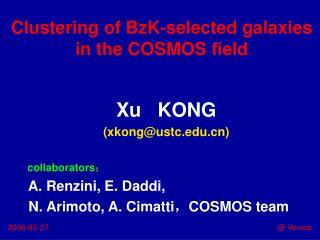 xu kong (xkong@ustc.edu.cn) collaborators ： a. renzini, e. daddi, n. arimoto, a. cimatti ， cosmos team. 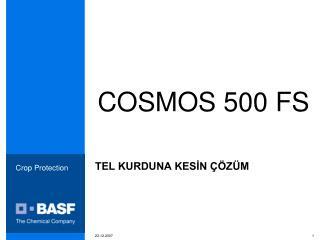 COSMOS -. 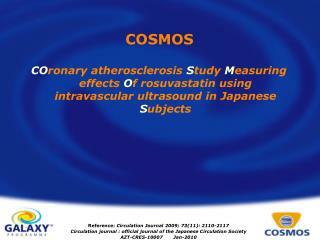 co ronary atherosclerosis s tudy m easuring effects o f rosuvastatin using intravascular ultrasound in japanese s ubjects. 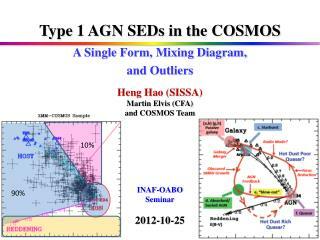 Type 1 AGN SEDs in the COSMOS A Single Form, Mixing Diagram, and Outliers -Type 1 agn seds in the cosmos a single form, mixing diagram, and outliers . heng hao (sissa) martin elvis (cfa) and cosmos team inaf-oabo seminar 2012-10-25 .